And how should I proceed to precisely set the origin point in the gcode? I have a couple more questions. 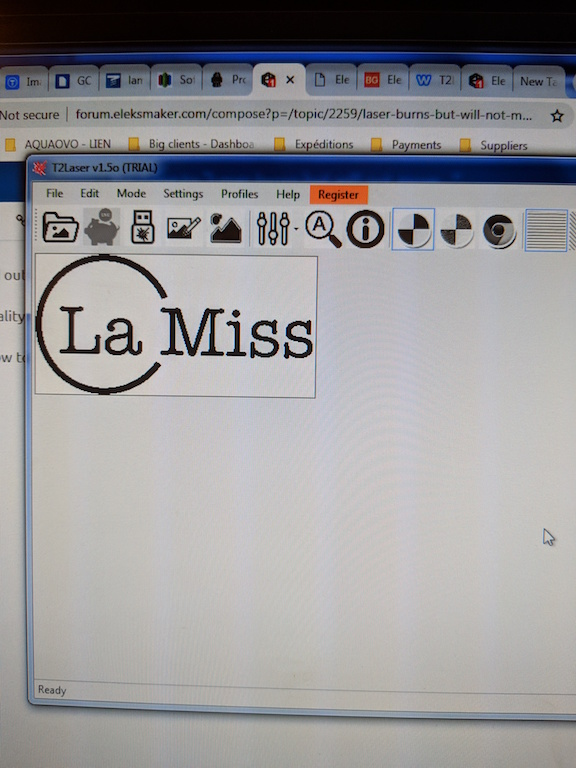 I can't seem to figure out how to set the home and/or starting point of the burn so that it is included in the gcode file. 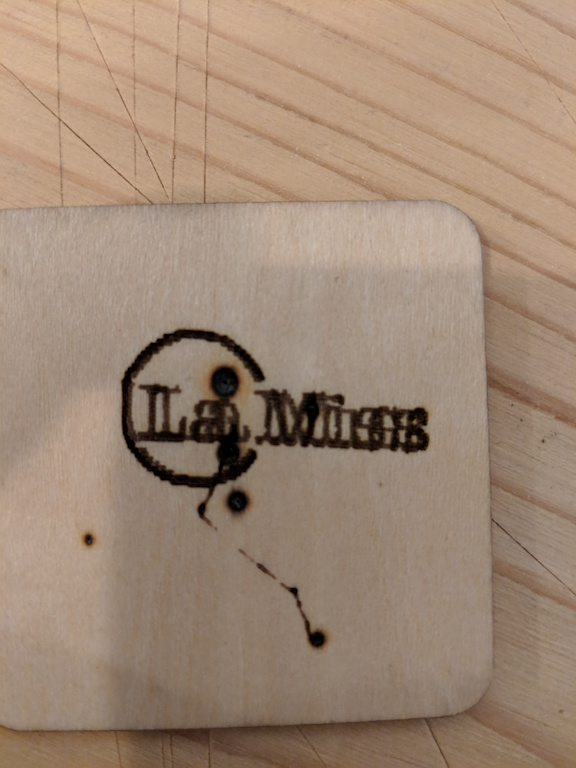 Whenever I think I did, the laser moves to another coordinate before starting the burn when I send the gcode. That makes it very hard to position my objects properly. How should I proceed to properly set the starting point of the burn? Also, whenever I switch to the laser control or if I stop the burn before the end, the laser lights up for a couple seconds and burns a spot. What could be causing that? I just purchased your program. Is there a tutorial on how to fine tune the settings in order to get a real nice burn with a good definition quality? Or is only really trial and error that will get me there? Thanks @Zax ! I figured out how to install T2Laser and update the firmware to get the laser burning an actual shape. The burn definition/quality however is not there yet and I guess that I will need to tweak some things before I get there. Is there a tutorial on how to fine tune the settings in order to get a real nice burn with a good definition quality? Attached is a screen shot of the source file and the some photos of the results of my first two burns. 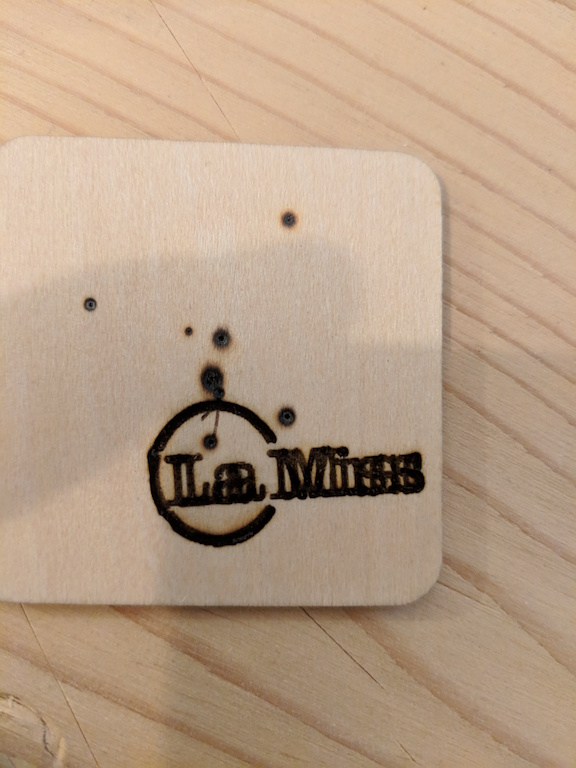 The second burn was better but the logo doubled horizontally and I can't figure out why? Ok thanks Zax, I'll try that! Newbie here and trying to get my Elekslaser A3 Pro working for the first time. Everything seems to be assembled and connected fine. I've got a connection between the laser and my computer and I've got manual control over the laser unit. I can move it Y and X and I can make it burn but it won't move according to any gcode file loaded in. I tried several of the samples in the CAM V3.1 software gallery as well as loading my own images but when I press Start the laser burns and remains in place making on single hole instead of carving the image as it should.